U.S. News and World Report’s annual Best Hospital Honor Roll recognizing the country’s top 20 medical centers has included UCLA Health for 28 consecutive years. In 2017-18, among more than 4,500 facilities evaluated, UCLA Heath hospitals placed No. 1 in the Los Angeles region and No. 7 in the U.S.
Our program draws upon the resources of the faculty at UCLA and our colleagues in the United States and other countries. We pursue basic neuroscientific and clinical research avenues to test and to bring the best rehabilitation interventions to our patients. Our goal is to improve the functional abilities of people so they can reach and grasp, walk, speak, remember, and carry out their daily activities as best as possible. Our basic and clinical research especially aims to improve motor control and skills for walking, use of an affected upper extremity, balance, and mobility in the community. For example, Dr. Carmichael studies the molecular and cellular pathways that can enhance regeneration of neurons and axons and strengthen their synaptic connections in the brain. In animal models of stroke, he has successfully regenerated these critical components, leading to remarkable improvements. Some of these studies are moving toward treatments for patients, including stem cell implantation. 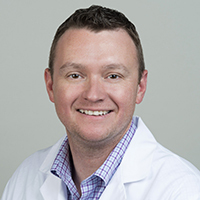 Dr. Havton studies ways to repair motor neurons and ventral roots/peripheral nerves after injury by reimplanting nerves and manipulating the molecular signals that enable them to regrow. Faculty are highly collaborative with other investigators at UCLA and across the world. 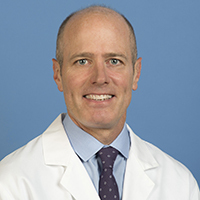 Tom Carmichael, MD, PhD: Basic science of neural repair and regeneration in models of stroke motor recovery, including gene expression, drug targeting and stem cell interventions. 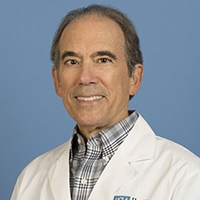 Bruce Dobkin, MD: Recovery of motor control; clinical trials of drugs and physical strategies that enhance learning and recovery; upper extremity robotics and noninvasive brain stimulation; wearable wireless sensing to monitor practice and activities and provide new outcome measures (mHealth). 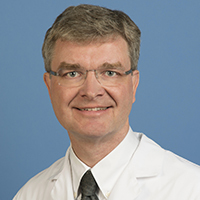 Leif Havton, MD, PhD: Basic models of recovery and regeneration after spinal cord injury and root avulsion, including sensorimotor and autonomic systems; electron microscopy. Jason Hinman, MD, PhD: basic models of stroke recovery after white matter injuries; cognitive and motor studies. 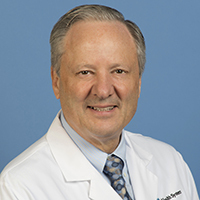 David Alexander, MD: participates in clinical trials and is a member of the UCLA neuroscience institutional review board which ensures the safety and welfare of participants in human research. Our studies often move from the research laboratory into testing in large randomized clinical trials. For example, Dr. Dobkin and colleagues have translated from the “bench-to-bedside” several multi-center clinical trials: body weight-supported treadmill training for spinal cord and brain injury and for stroke, robotic-assistive stepping, medications to improve functional use of the arm after stroke, functional imaging studies in stroke, and wireless sensor monitoring of daily mobility after stroke, multiple sclerosis, and dementia. The Program has had high success in receiving funding for research from the National Institutes of Health, National Science Foundation, American Heart Association, California Institute for Regenerative Medicine and private foundations, including the Larry Hillblom Foundation, Edward and Catherine Davis Foundation, Dr. Miriam and Sheldon G Adelson Medical Research Foundation, Richard Merkin Foundation, and many individuals.